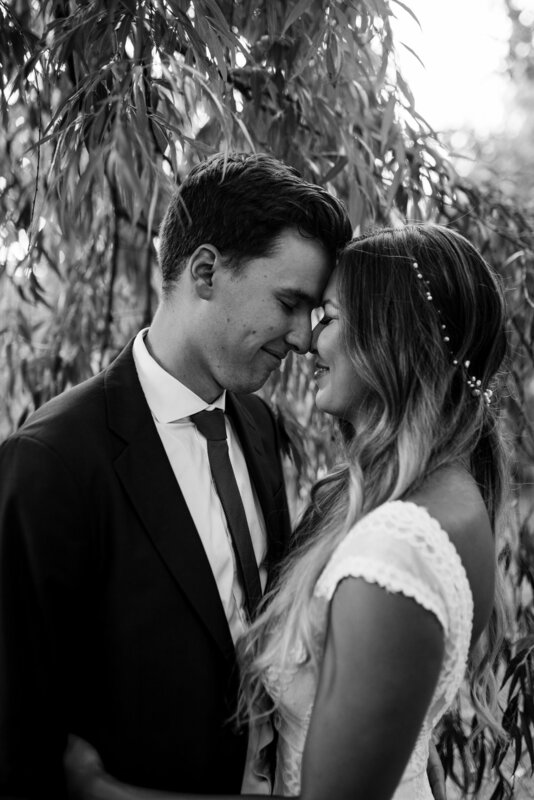 I had the pleasure of capturing a small, intimate ceremony for Sarah and Tom. 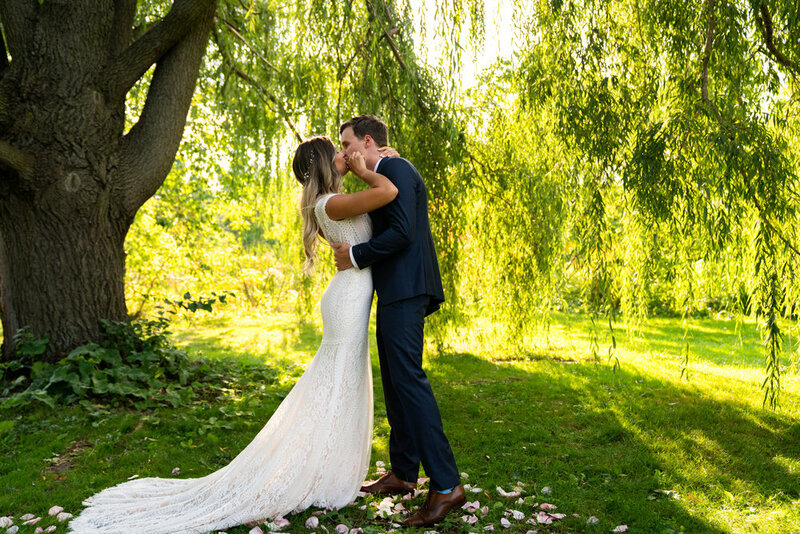 The ceremony took place on a small piece of land called Heart Island in the middle of the city of Ottawa. Heart Island is quaint and absolutely stunning. It is only accessible by a small foot-bridge and is surrounded by a river. Heart Island is encompassed in enormous hanging Willow trees. The foot-bridge is in the background. Sarah and Tom had previously married. This was their ceremony back home with their family. In fact, they originally eloped in Santorini, Greece! They are couple goals for sure. 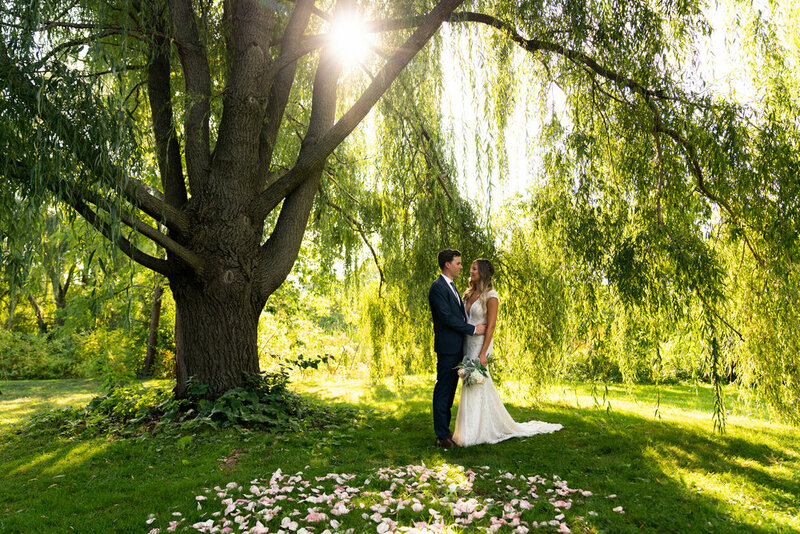 The Willow trees make the light fall in absolutely beautifully and also creates quite the backdrop. My classic light flare shining through the branches. 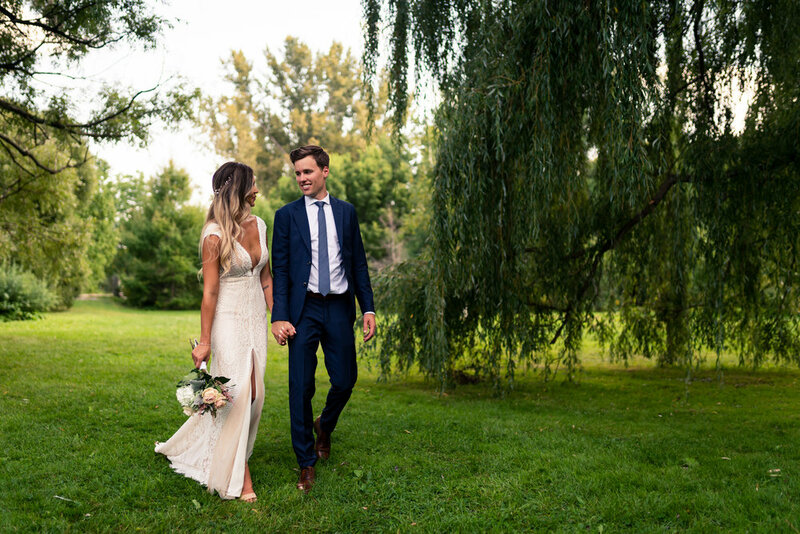 We took some couples photos before the ceremony began and Sarah & Tom photographed like a dream. Although it was 30+ degrees, these two were cool the entire time. Married on flower petals. a e s t h e t i c.
We chalked up the ceremony with some family photos. It was beautifully simple. Only their closest friends and family came and it made the day that much more special. 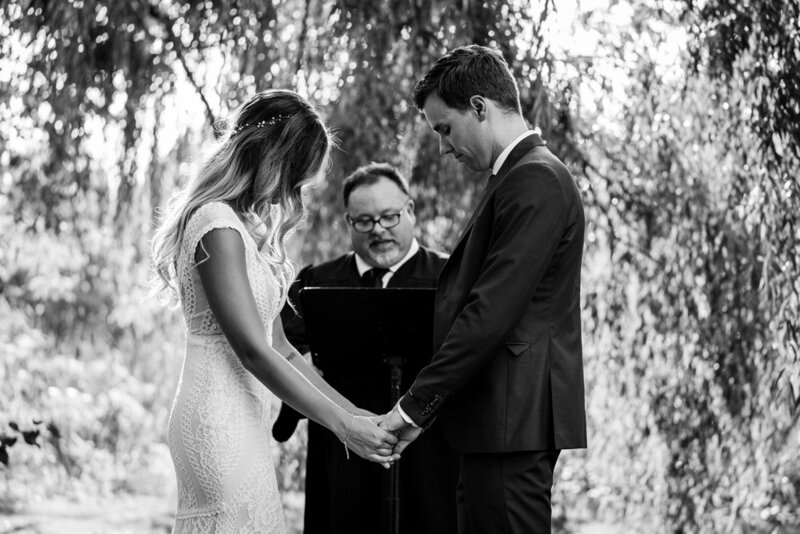 I hope every bride and groom get to experience a wedding like this.